Wearing a beautiful white Windsor pattern, this contemporary square throw indoor-outdoor pillow brings bold accenting to any living space. 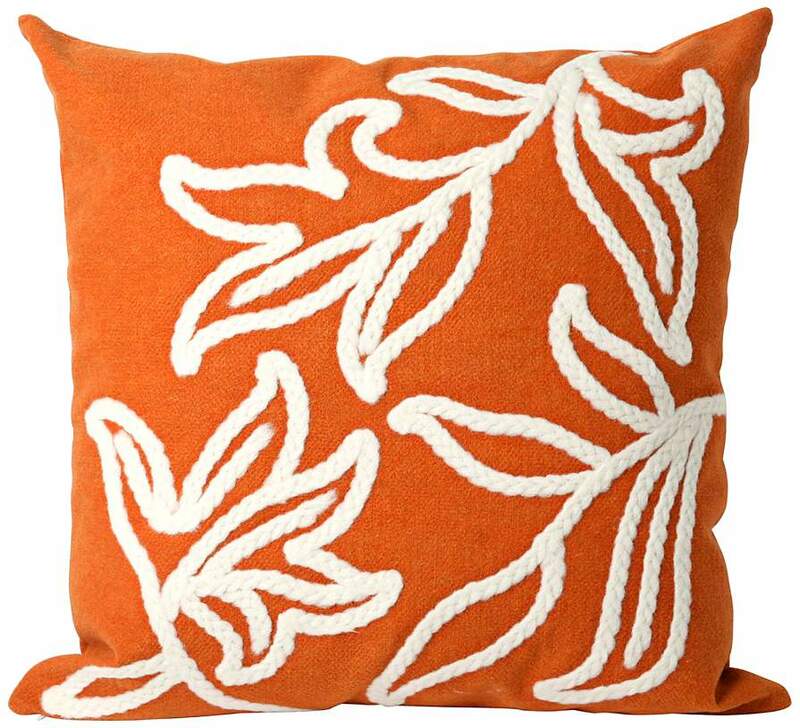 Offer simplicity and charm to your living space with the orange color tone of this contemporary throw indoor-outdoor pillow. Its hand-made construction and simple white floral design will give any area a chic, attractive look. • 20" wide x 5" deep x 20" high. 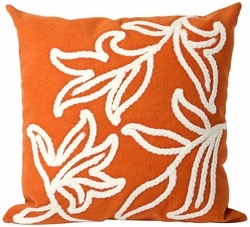 • Contemporary square decorative throw indoor-outdoor pillow; designed by Liora Manne for Trans-Ocean. • White Windsor pattern; orange color tone. • 100 percent polyester microfiber cover; 100 percent polyester insert. • Hand-made; zipper closure; hand washable; perfect for indoor and outdoor use. • Easy care and maintenance - remove polystuffer and clean cover with mild soap and water, allow to dry thoroughly.